Years are normally divided into two parts; the first two digits and the last two digits. 1984 is divided into 19 and 84 so you would say nineteen eighty-four. For the year 2000 you say (the year) two thousand. 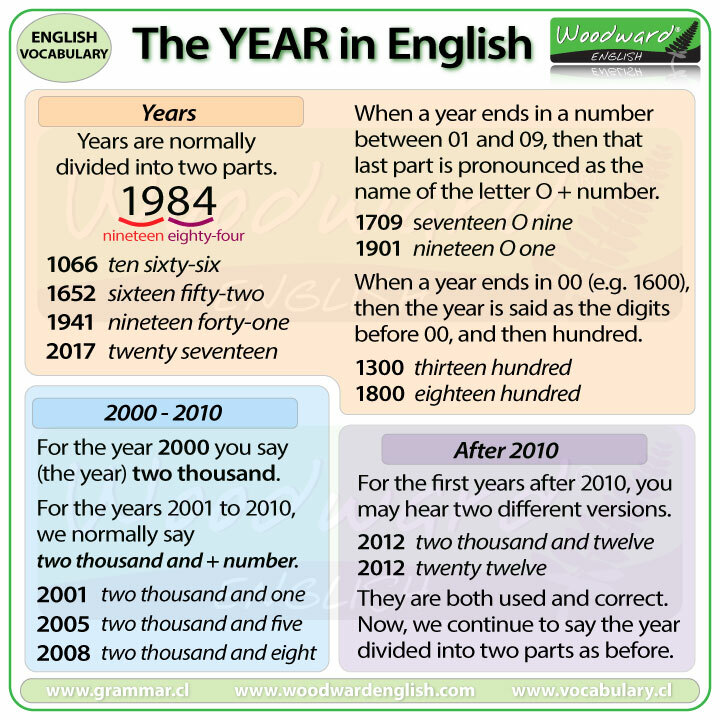 For the years 2001 to 2010, the most common way of saying the year is two thousand and + number. For the first years after 2010 you may hear two different alternatives. They are both used and both correct. When a year ends in a number between 01 and 09, for example 1705, then that last part is pronounced as the name of the letter O + number. When a year ends in 00 (e.g. 1600) then the year is said as the digits before 00 and then hundred. When people refer to the entire century, an S is added to the end. Of course you can also say the 16th century and 19th century.